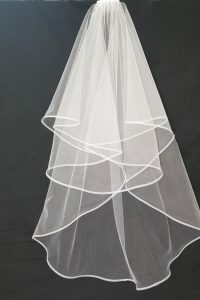 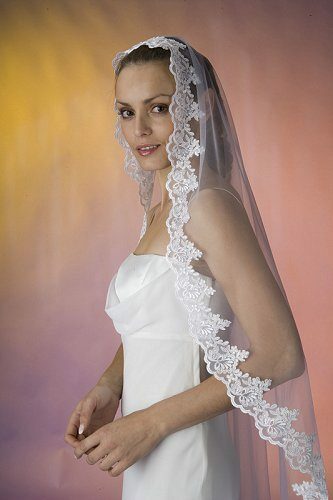 Chelsea is a romantic, cathedral length lace brimmed veil. 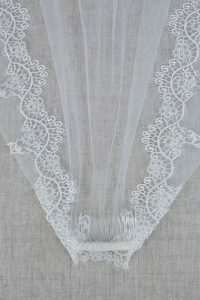 Brim made from Italian embroided lace brim. 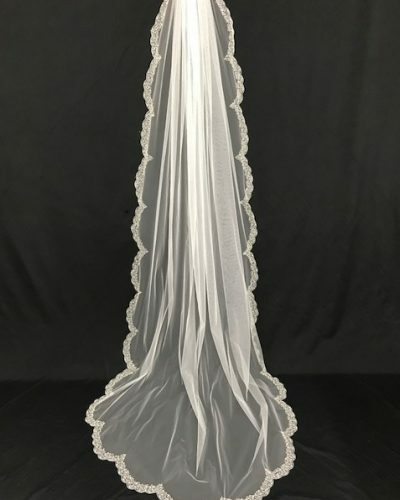 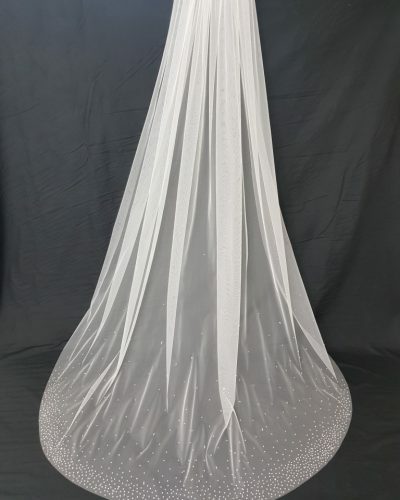 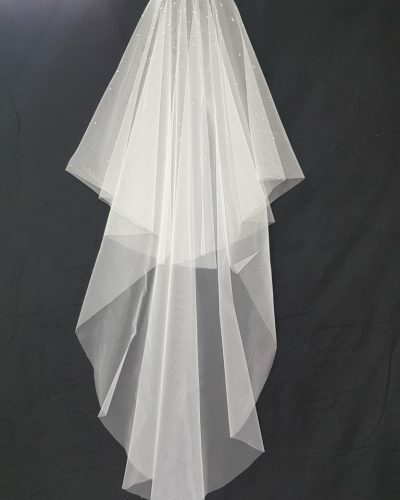 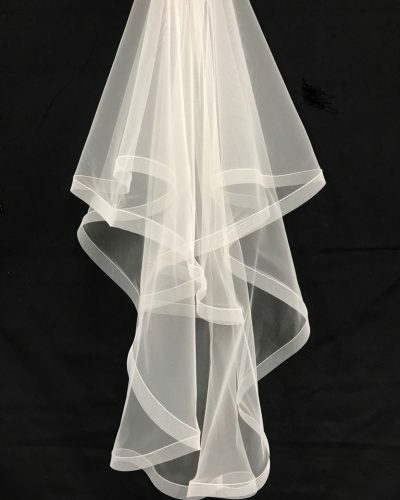 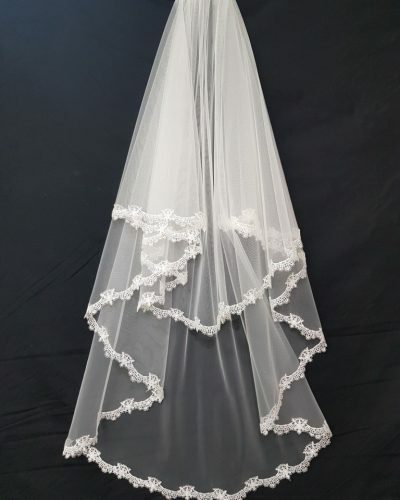 Veil is approximately 2.50 metres long and is the perfect match for today’s modern bride whether she wishes to wear the Chelsea veil with a plainer style or match with a lace gown. 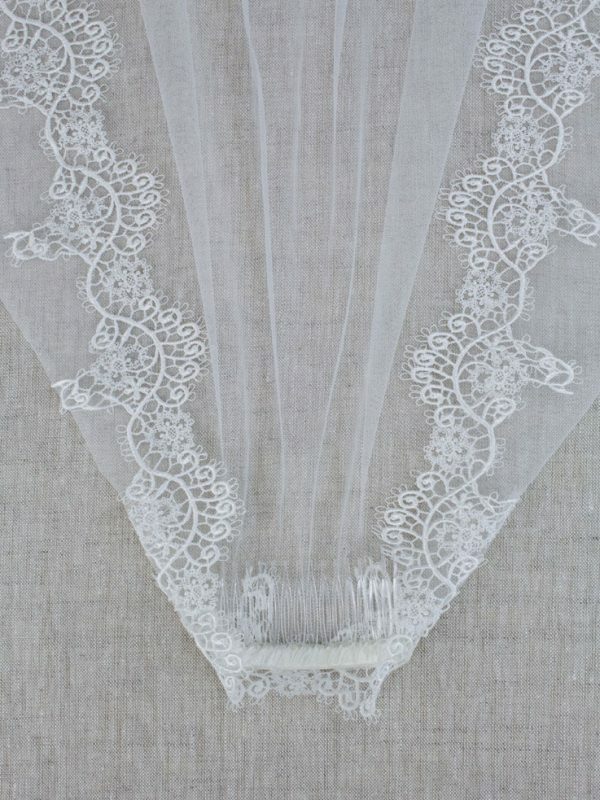 Secures to your hair with a comb. 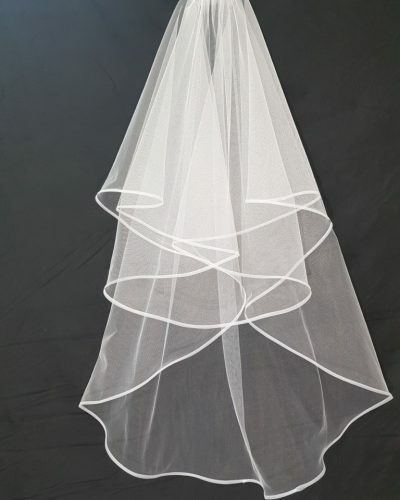 Allow 6 weeks form ordering. 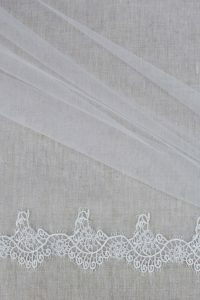 We have a Chelsea in our salon for you to try.